Traveling to Iceland is a must if you’re like me and have a love for natural landscape adventures. It’s hard not to want to explore a place that is known for all of their natural beauty, still silence and purity. Iceland has similar seasons throughout its year (read: drizzly rain and just a bit of cold always), but some months are better than others depending on what you want to do and see there. Let’s dig into figuring out when the best time to visit Iceland is for any of your crazy activities or desires! First thing’s first, if you’re looking to take to the beaches in your swimsuit, you’ve found the wrong post. Leave now and search “Cabo” on your next try. The only swimsuit wearing you’ll be doing in Iceland is in the Blue Lagoon or other natural hot springs around this country that you stumble upon. But enough about the warm weather chat, let’s get to it. Which Season is Best to Visit Iceland In? When Should You Visit Iceland to Save Money? When’s Our Favorite Time to Travel to Iceland? It’s no secret that Iceland has become a popular tourist destination. In fact, some are saying that Iceland is beginning to be a bit over-touristed. However, there are times when the spring breakers and out-of-school crowds are fewer and less photo obsessed than typical. That’s when we recommend you visit if you intend to see all the classic Iceland sights like the Golden Circle and the Blue Lagoon. If you’re like us, however, and love to stay away from the crowds. Going on your own trek is possible during most times out of the year. You will be just fine traveling to Iceland because sadly, few tourists venture out on their own to explore less popular or undiscovered areas. Visiting for all the Iceland Tourist Spots? Visiting for Your Own Adventure? Are you a photographer? Offseason (low season): November through February or May Anytime during the year and stay away from the Golden Circle. Winter months: read our winter section below for exactly why. So many variables go into when the perfect time to travel to Iceland is. Do you want to see the Northern Lights, go ice-caving, or maybe see a few whales in the North Atlantic ocean? Are you going to be preparing for more snow in the cold or more rain in the warmer time? Seasons play an important role in what you can and can’t do in any given Icelandic season so keep reading. Photographers get excited because winter in Iceland was made for you! Winter months in Iceland is cold. Well, cold, if you’re from Florida or Texas that is. Are you from the Midwest? You’ll survive then! The temperature ranges from a high of ~38ºF (~3.4ºC) to a low of ~26ºF (~-3ºC). Being the coldest season for Iceland, you can imagine that snow and winter weather conditions play a large factor in your time spent here here during this season. It is an island surrounded by cold Atlantic water and wind after all. Daylight is scarce in the winter so be ready for partial or complete darkness. In it’s shortest month of December, there are times where the “day” is only four hours long. The sun will rise around 11 AM and set around 3-4PM. But just because daylight is scarce doesn’t mean you should shy away from Iceland in the winter, especially if you’re a photographer. With fewer tourists around, the black sand beaches and rocky shores are covered in ice and snow. Of course you also have the highest probability of seeing the Northern Lights too. You’ll want to come here in the winter with your camera and tripod ready. Bundle up, invest in a few extra layers, and get some gloves. See the Northern Lights: We get it, you want to see the northern lights. They’re pretty cool. 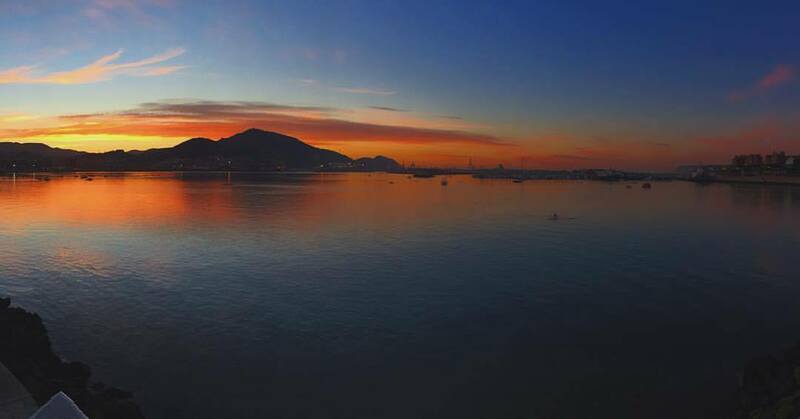 The winter time, with so much darkness, affords you the most opportunities to luck out and see these natural beauties. Try to get away from Reykjavik because the city lights can make it hard to see this phenomenon. Visit a hot spring or the Blue Lagoon: While hot springs and the Blue Lagoon can be accessed year-round, it makes sense that the winter months offer a sweat warm relief from the relentless cold. If you’re trying to trek to a less frequented hot spring like the Reykjadalur hot spring for example, I would caution you to save that for a warmer months. The hike can get a bit daunting (ie. very slippery) and with little sunlight, I would caution against hiking this in any chance of darkness. I may or may not have learned this from experience. Iceland Airwaves Festival: If you’re obsessed with Icelandic artists like I am, this music festival could be perfect for you. Iceland Airwaves festival is held in November in Reykjavik and brings together emerging and well-recognized artists from around the country. Iceland’s spring season varies by who you ask. Typically spring falls anywhere from mid-March through late April or early May. In spring, the temperature ranges from a high of ~49ºF (~9.4ºC) to a low in the evenings of ~28ºF (~-2ºC) in Iceland. If you’re asking me, this weather is pretty standard in Iceland in almost any season. It’s pretty safe to assume you’ll need to pack for all weather conditions regardless of the season. Just be prepared to bring coats and rain gear no matter what. There will be plenty of daylight to keep you adventuring. Unlike winter, springtime in Iceland affords you anywhere from 10 hours in March to upwards of 17 plus hours of daylight in late April early May. You can adventure until you can’t adventure anymore. You have plenty of daylight to get lost for a while. Springtime in Iceland is “shoulder season” which means that it’s not as overrun with tourists as in the summer which makes it great for doing just about anything. 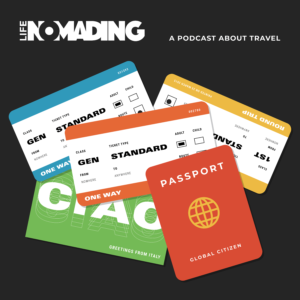 Join a Life Nomading Group Trip: We’re big fans of visiting Iceland in the spring. So much so, that we actually launched our very own group trip that we host every year at the end of March in Iceland. It’s the perfect weather, perfect low-key vibes, and always a fun time. Visit our Iceland page for more details. Aldrei Fór Ég Suður: If you’re feeling the music vibes and want to go to a music festival. the Aldrei Fór Ég Suður festival may be right for you. 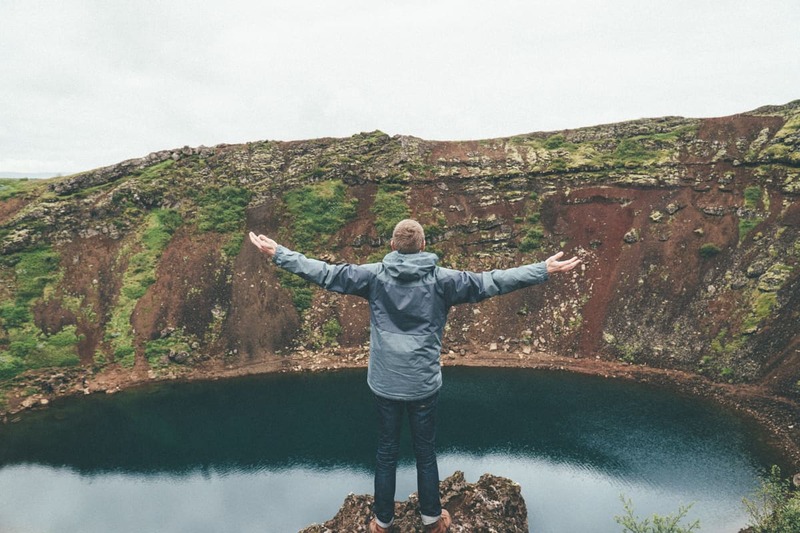 Located in the Westfjords which is about a 4-5 drive northwest of Reykjavik, this festival will take you far away from any of the normal touristy vibes. I can only imagine what fun you’ll get into up there with three thousand others. They make this event free to all who want to make the trek up there in April. Sónar Reykjavík: If you’re a fan of electronic music, than Sonar is worth looking into. This event is hosted in late April in Reykjavik. Tickets are on sale on their website for what looks to be about 17.990 ISK. TIP: March is pretty much the last month where the weather is cold enough to visit ice caves in certain areas of Iceland. I highly recommend you do this, so if you are debating on a spring month to visit Iceland in, try to shoot for March or earlier if possible. 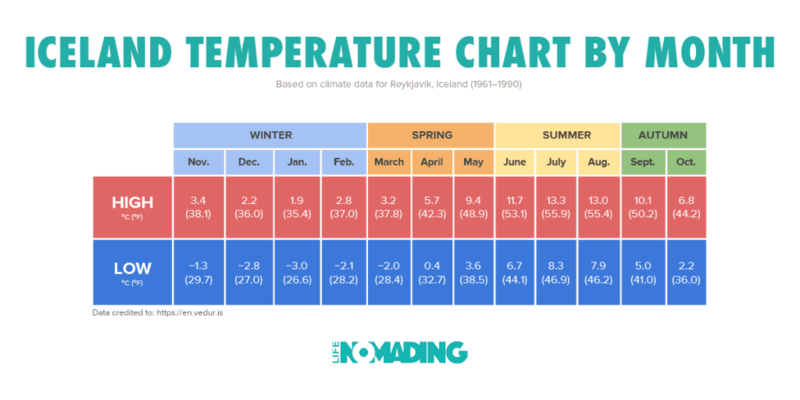 While you won’t be sunbathing or meeting others during a day at the beach, Iceland does warm up a bit during its summer season between June-ish and August. Since warmer weather is a popular time to travel in, that means Iceland’s popular spots can get much more crowded. Through the summer months, the tourism numbers get larger and larger making this the peak season for Iceland. If you’re a serious photographer, a seasoned traveler looking for a less touristy vibe, or wanting a cheaper all around trip to Iceland, than we’d recommend avoiding this beautiful country in the summer. Instead, try out one of their shoulder seasons like Spring or Fall. In the summer months, the climate ranges from a high of ~56ºF (~13.3ºC) to a low in the evenings of ~44ºF (~6.1ºC). If you haven’t learned by now, you must bring a coat. This weather isn’t bikini or swim trunks weather by any stretch. Get your winter weather raincoat shopping on. You’ll have all the daylight all the time with barely any darkness. The summer season in Iceland is unique in that you can have days of almost complete daylight in June. It’s crazy! In the summer you will find you have anywhere from 17 hours to 21 hours or more of pure daylight. I’ve personally experienced this time of the year and it’s very odd going to bed or staying out late and having the sun out like you are partying in the middle of the day. 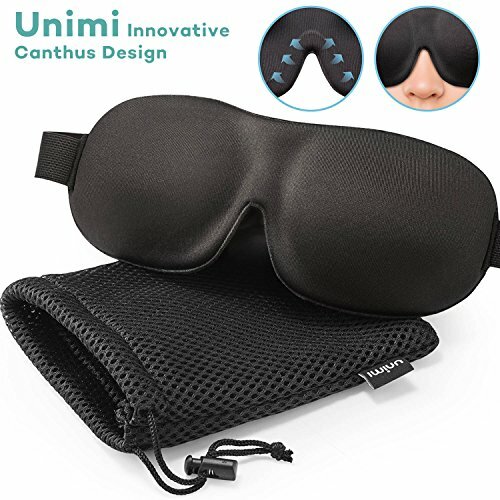 Summer Tip: Bring a sleeping mask if you have a hard time sleeping with light leaking into your room. This will be critical because I kid you not, you’ll think it’s the afternoon all day long. Whale Watching: Summer in Iceland is prime whale watching season. With the temperatures warming up, the various whale species (Harbour Porpoise, Fin Whale, Humpback Whale, Orca’s, Blue Whale, Minke Whale, and Sperm Whales) come out to play. You can depart for whale watching in various parts of Iceland. Departing the coast of Reykjavik for your whale watching adventure is fine, but for some of the best experiences travel to Northern Iceland to Akureyri where the more diverse species of whales are spotted. 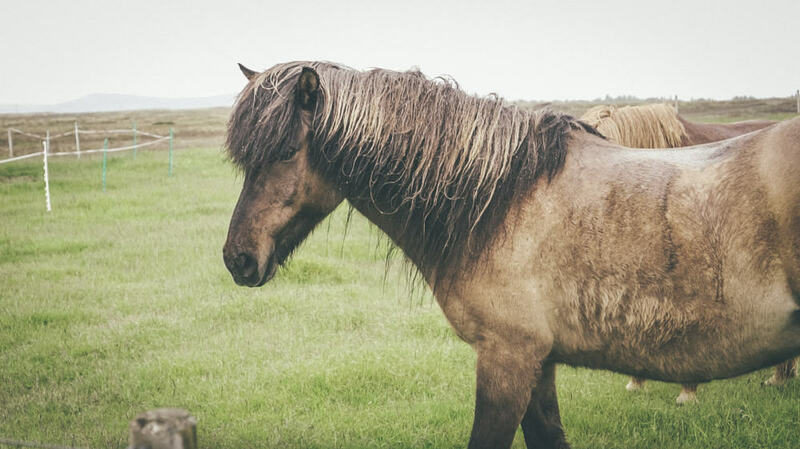 Icelandic Horseback riding: Iceland is known for a special species of horse simply called an “Icelandic horse”. They’re most notable for their small pony-like size, however they are not to be confused, they are a full-fledged horse. Size shouldn’t matter! If you’re an equestrian lover you won’t want to miss your chance in riding one of these while here in the summer since they are the only breed of horse in thecountry. Secret Solstice Festival: Be warned, if you watch the video below you will book your ticket to Iceland and partake in this music festival. There’s something about the potential of cracking open a few cold ones while partying in the middle of a glacier that gets me excited. Am I the only one? 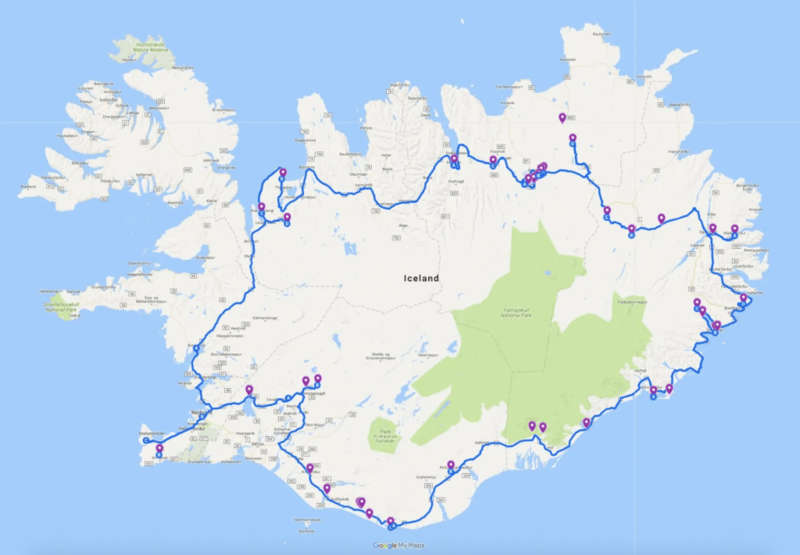 Iceland Ring Road Trip: With the weather being the warmest in this season it makes renting a camper van and exploring the entire country much more attainable. The Ring Road is an 800-mile long road covering the outskirts of Iceland. Convince your partner or best friend to come along, and rent a camper van to explore the country for a week or two. Every mile of Iceland is a whole new landscape and a road trip like this would leave you inspired, to say the least. While September and October in Iceland is definitely shoulder season for the country it has great offerings from fair temperatures, decent daylight time, and somewhat smaller tourist numbers. You’ll get a little bit of the winter AND summer benefits all in the course of a two-month window. During Autumn in Iceland, the climate ranges from a high of ~50ºF (~10.1ºC) to a low in the evenings of ~36ºF (~2.2ºC). You’ll definitely have enough daylight in Autumn in Iceland for activities. In Autumn, Iceland experiences anywhere from 10 to 14 hours of daylight. While Autumn is certainly not the season with the most or the least hours in the day, this season will afford you plenty of time to take adventures without all of the summer tourists. Round-Up Season (RÉTTIR): Round-up or Rettir season is when all the farmers in Iceland go to fetch their sheep and horses that have been roaming for the season. This is a part of the year where neighbors and fellow farmers gather to sort the thousands of livestock to take back to their farm. It’s a very Icelandic thing to do. We’d recommend you try to partake! Northern Lights spotting: If you read, winter is a great time to watch the northern lights, but autumn is also an opportune time to take a rental car and get lost somewhere away from the city to watch the Northern Lights if you’re lucky. Monitor the Northern Lights Forecast to see where the best chance of visibility will be on your trip. Reykjavik International Film Festival: We all love a good film festival. If you’re in the city around this time the Reykjavik Film festival may be worth checking out at the end of September and early October. 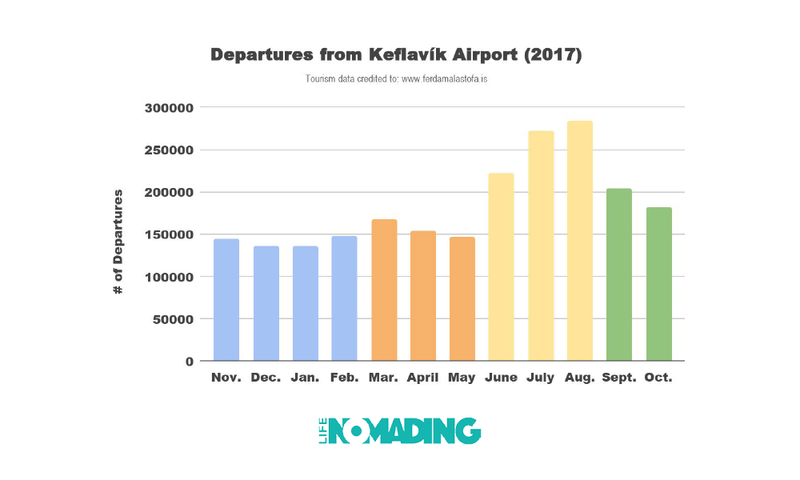 We decided to run our own little Iceland cost experiment to see what kind of pricing fluctuations happen for different seasons in Iceland. Prices below are meant to be as rough benchmarks for two people traveling together in the varying seasons for 6 days / 5 nights. Chart based on data for 2019 & 2020 season data. ***Airbnb metrics are the “average” price given from Airbnb for a given window. ****Blue lagoon price for two on peak time in the day. Our research found that for a couple traveling to Iceland, your biggest cost changes depending on when you travel, is your rental car. In the summer months, a car rental can be more than double (2X) than in the Spring or Winter seasons. That money adds up quick! Luckily, airfare, Airbnb lodging, and activities seem to stay pretty competitively priced during most times of the year. Cost Tip: One variable not mentioned in this experiment is the cost of fuel for your rental car. If you’re an American traveling to Iceland you will be sticker shocked by gasoline prices so prepare your budget accordingly. Most of your trip involves driving and burning that fuel. Iceland’s spring season seems to be our winner when it comes to saving the most money while adventuring to this beautiful country. While we think most of our numbers are pretty accurate, please don’t take our cost analysis as gold. Pricing varies depending on many factors. Do your research or let us handle all of that for you! The springtime. Spring is affordable and gives you access to almost everything you can get in winter and the summer months (ice caving, Northern Lights, access to roads). We love the spring so much that we offer a yearly Life Nomading group adventure trip there in March were we take up to 12 travelers and have one heck of a time. Woohoo, you’ve made it this far! Congrats, you’re now pretty frickin educated about when some of the best times to visit Iceland are. As you can see, Iceland is great in any season you visit, it just depends what your travel goals are. With a climate that stays pretty consistent and plenty of things to see and do you can’t go wrong any time of the year. 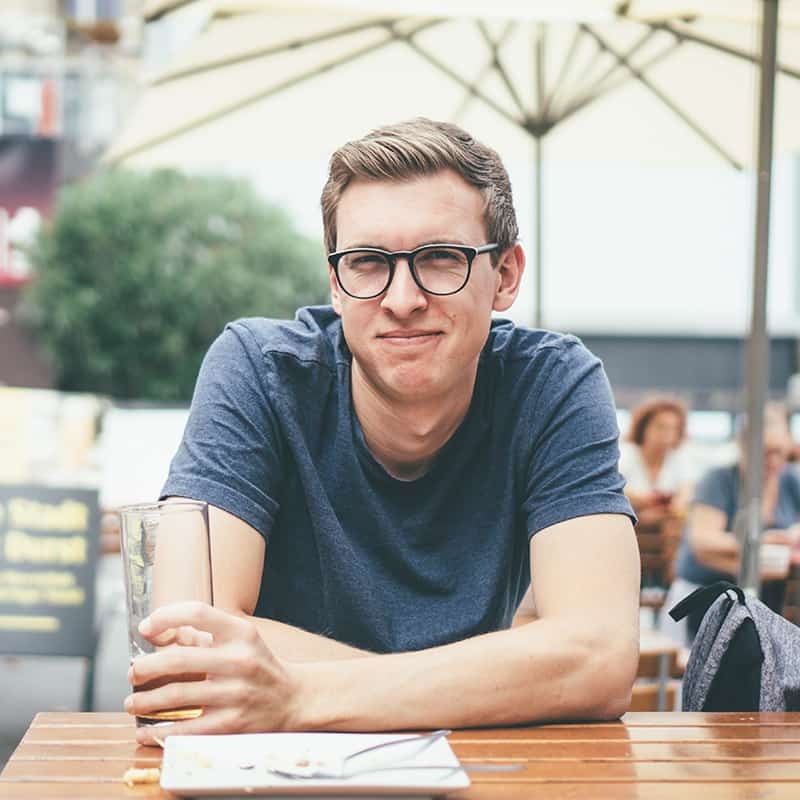 If you’re headed to Iceland, but would prefer to join a group of other millennial travelers this could be the perfect opportunity for you. You’ll save even more money, see and do things you wouldn’t think were possible, and get to meet others along the way. For more information about our trip be sure to visit our Iceland page. 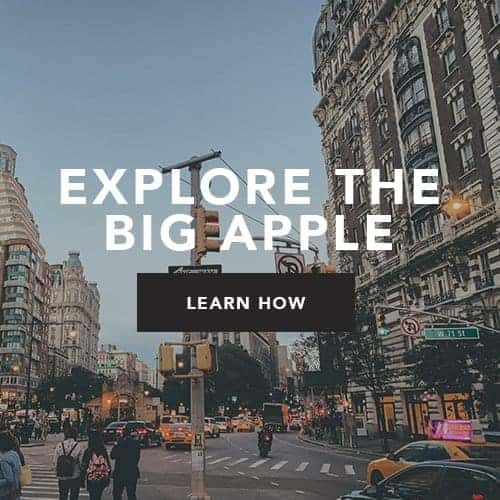 Whether you’re a photographer looking to capture the still life and Northern Lights, or a college student with time to visit Iceland in the summer, we recommend to just take that leap, book your tickets now, and go.